For as long as I can remember Thanksgiving has been one of my favorite holidays. 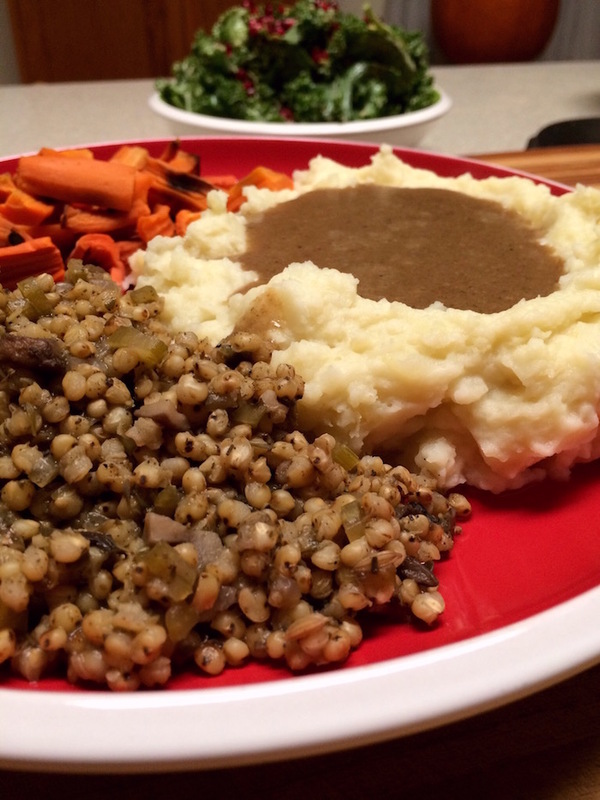 Food, family, and the Macy’s Thanksgiving Parade… these traditions make me smile. 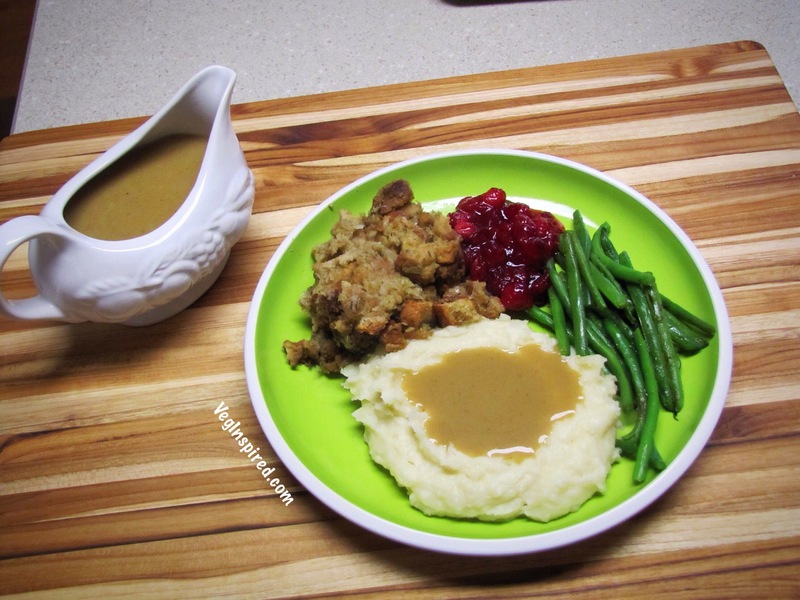 So we when adopted a plant based way of eating, we had to have Plant Based Thanksgiving Recipes. 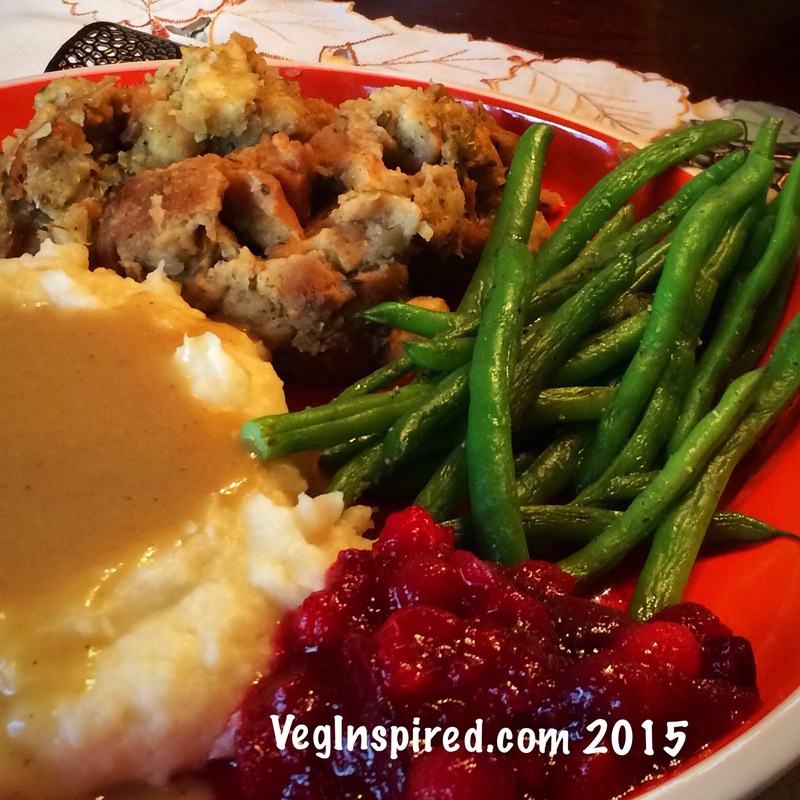 We have so many great recipes that would be perfect for your Thanksgiving Table, that I thought I would put them together in one spot to help you plan and carry out the ideal Vegan Thanksgiving. For our Thanksgiving, we typically have some snacks and appetizers out for a couple of hours before the big meal. 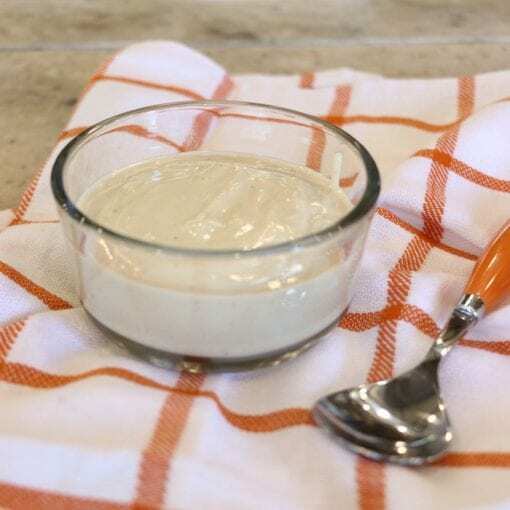 We are going to share our favorite Vegan Appetizers, Vegan Salads, and Vegan Side Dishes that are sure to please everyone at your Thanksgiving Table. 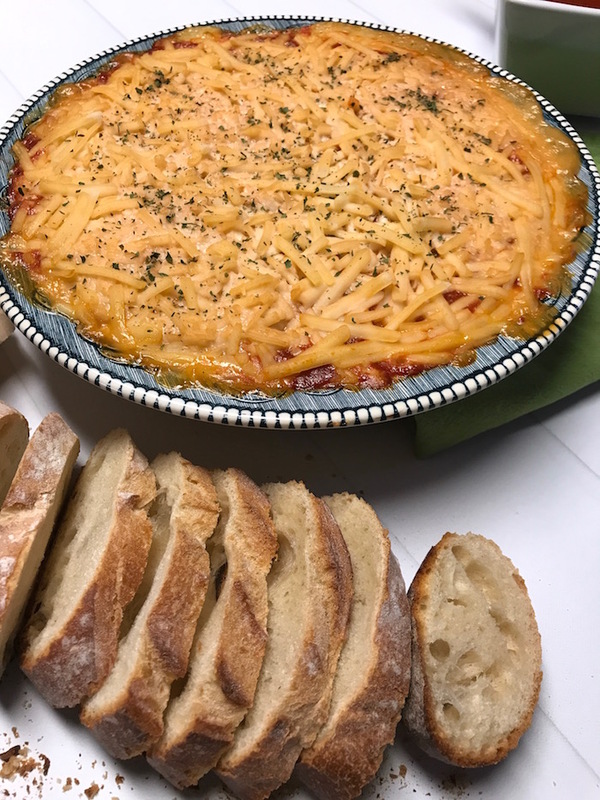 This Italian Baked Bread Dip is flavorful and so easy to make ahead and then heat up in the oven on Thanksgiving day! 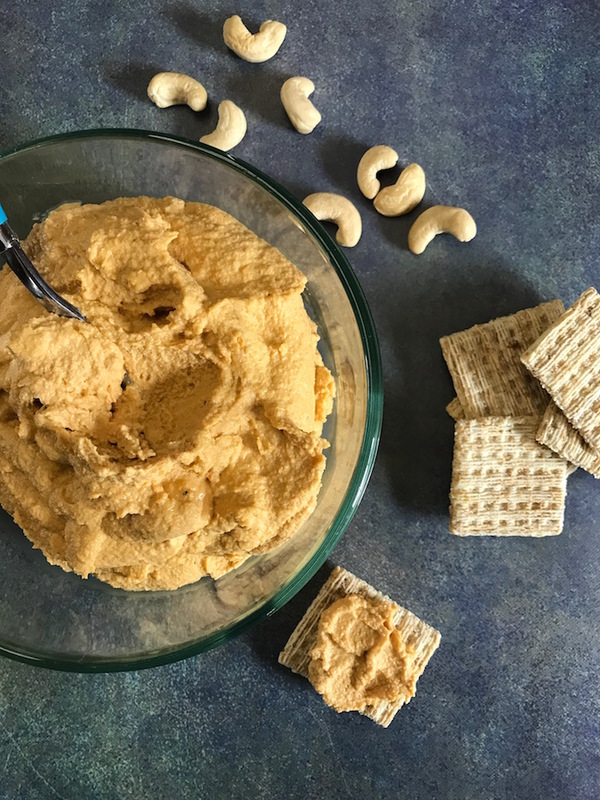 Our Better Than Cheddar Chedda’ Style Cheese Spread is flavorful and uses simple plant based ingredients to give you the perfect spreadable snack! Add a pop of color to your Thanksgiving Appetizer Table with this tasty Vegetable Ranch Appetizer Pizza. 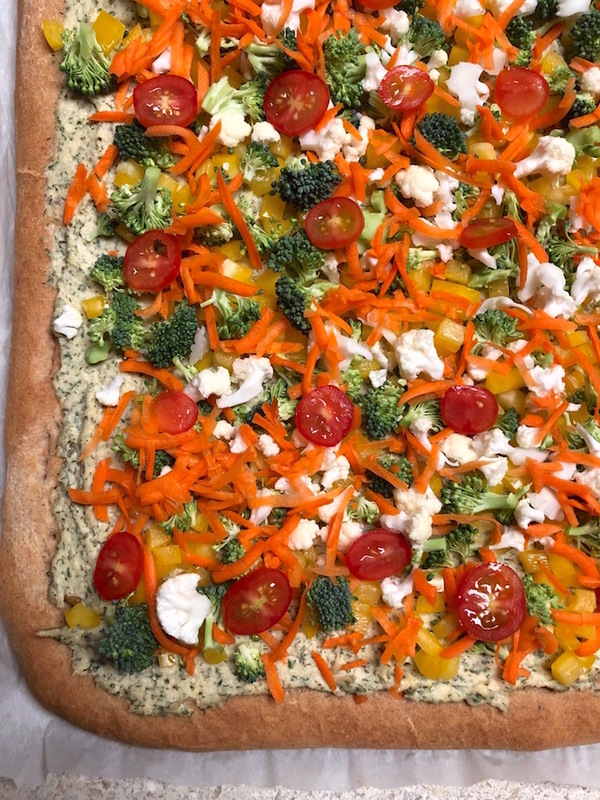 Just bake up your dough and then top with our yummy Veggie Ranch Spread and your favorite vegetables. 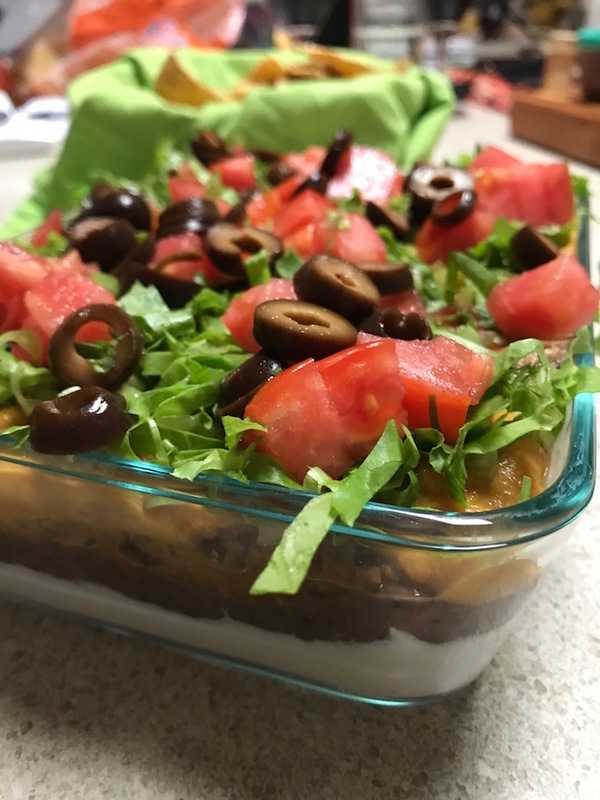 Or how about this Oil-Free, Vegan Layered Taco Dip with a PUMPKIN cheese sauce. 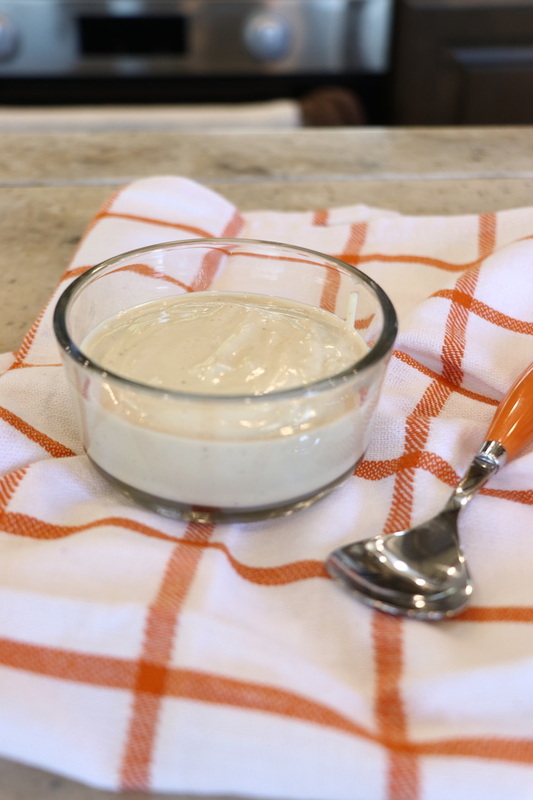 Yes, totally fits in with your Thanksgiving Appetizers. Grab a bag of tortilla chips, and you have the perfect app. 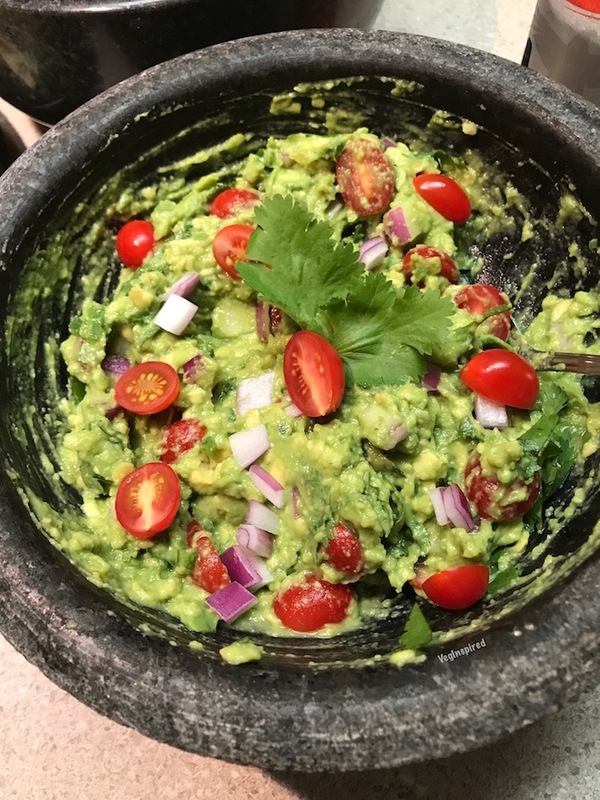 One of my favorites is this simple and delicious Guacamole. You can serve it as is or make it into nachos. Your call, but it definitely deserves a spot on your Thanksgiving Table. 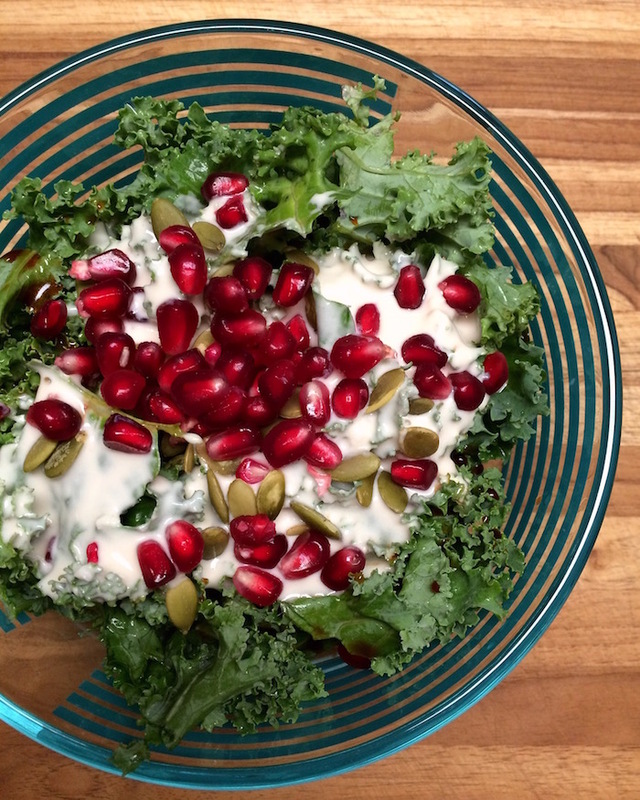 Our colorful and Easy Kale Salad was part of our Thanksgiving meal, and it was perfect. So fresh and complementary to the hearty, rich dishes. 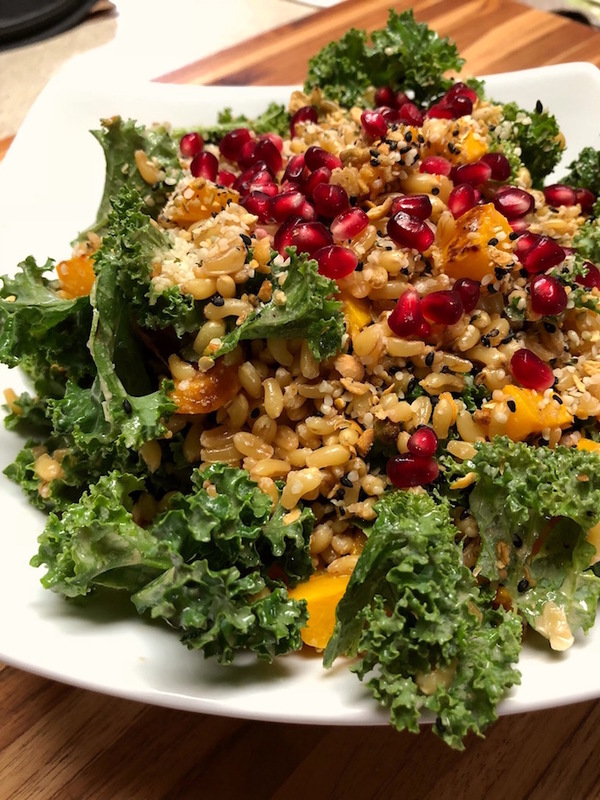 Make your Kale salad a little heartier by adding a grain, like Kamut featured in our Kale & Kamut salad. 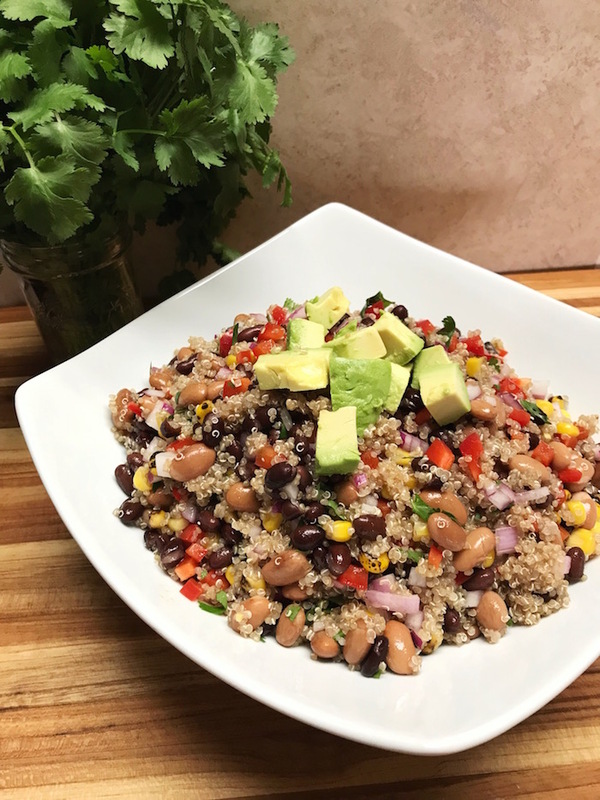 Another beauty is this Rainbow Quinoa Salad, which has been my staple “dish to pass” for potlucks and parties since going vegan. 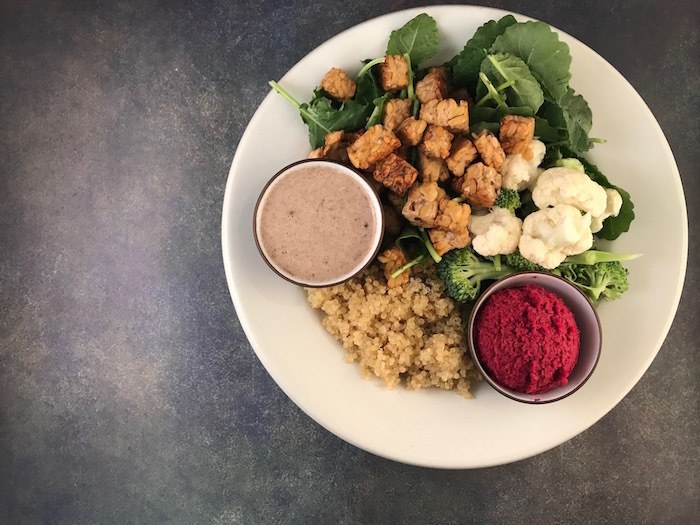 It is easy to make ahead, it is delicious, and it is hearty enough to be my meal if it happens to be the only vegan option. These recipes would be perfect to bring along and add to any Thanksgiving Dinner. Many can be made ahead and merely need to be warmed before serving. 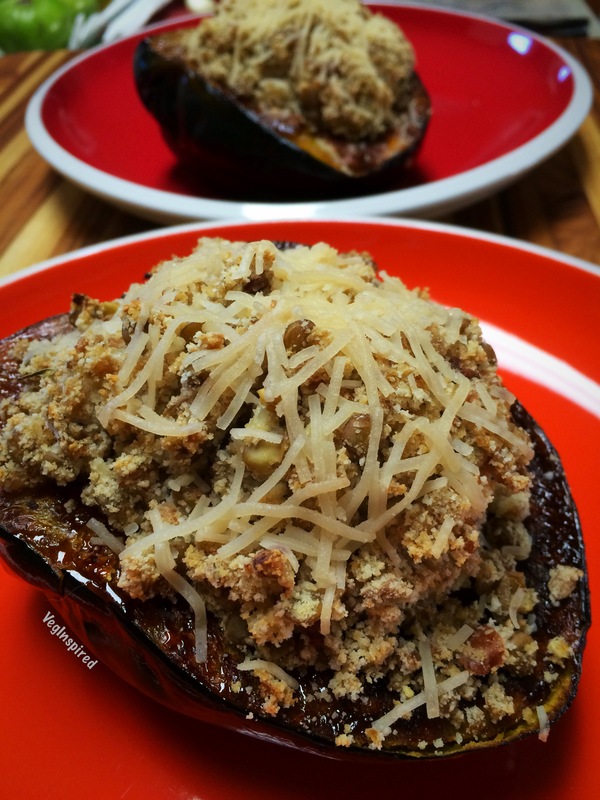 Stuffed Acorn Squash, beautiful and delish. Those caramelized edges are drool-worthy. 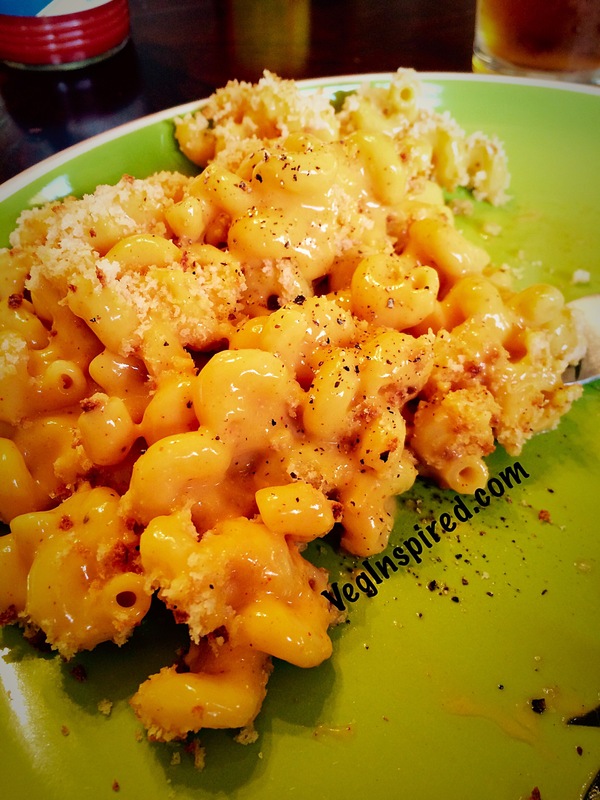 Tried and true, this is our go-to Vegan Macaroni and Cheese Recipe. 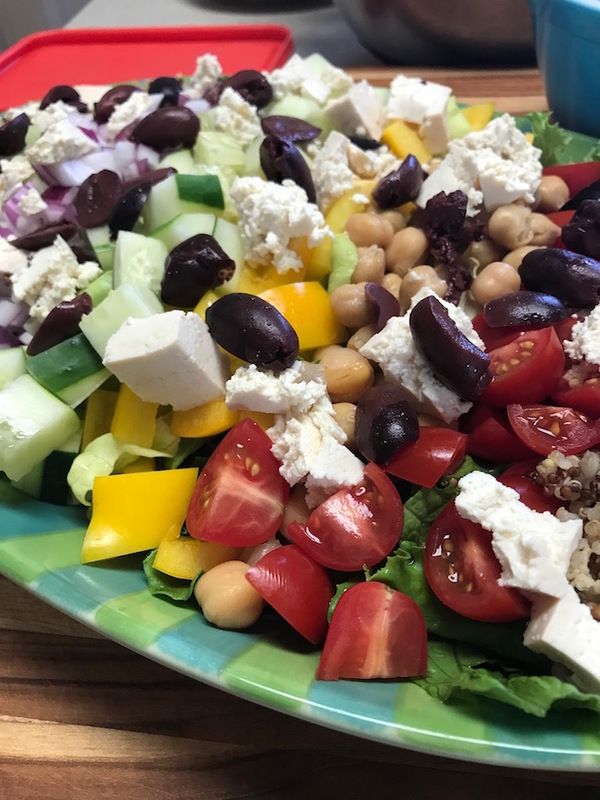 We have made it with a few Vegan Cheese Shred Brands, and we love it every time. This most definitely deserves a spot on the Thanksgiving table. 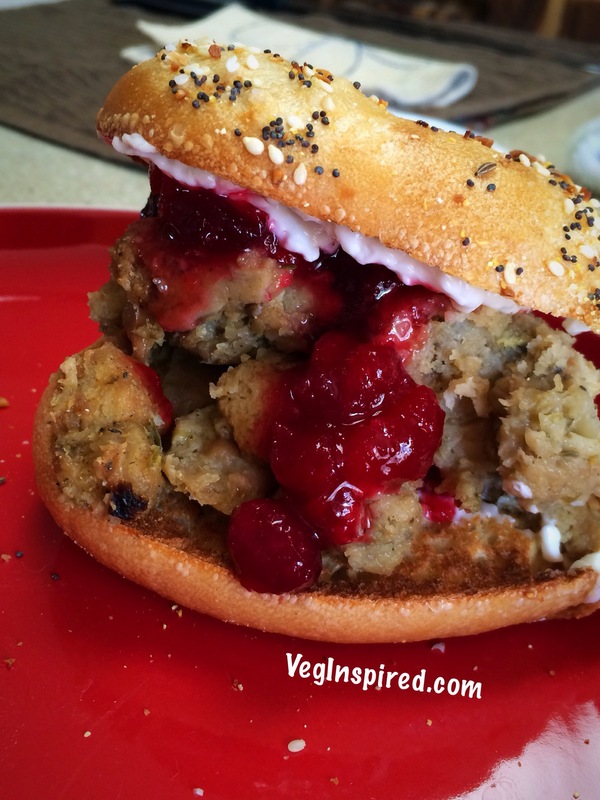 We also have our Traditional Veganized version of Thanksgiving Recipes – featuring our Mashed Potatoes, Stuffing, Cranberry Sauce, and a Recipe for an EPIC Thanksgiving Sandwich. This Thanksgiving Leftovers Sandwich is sure to wow your palette and gives you a fresh perspective of your Thanksgiving dinner from the night before. Enjoy! 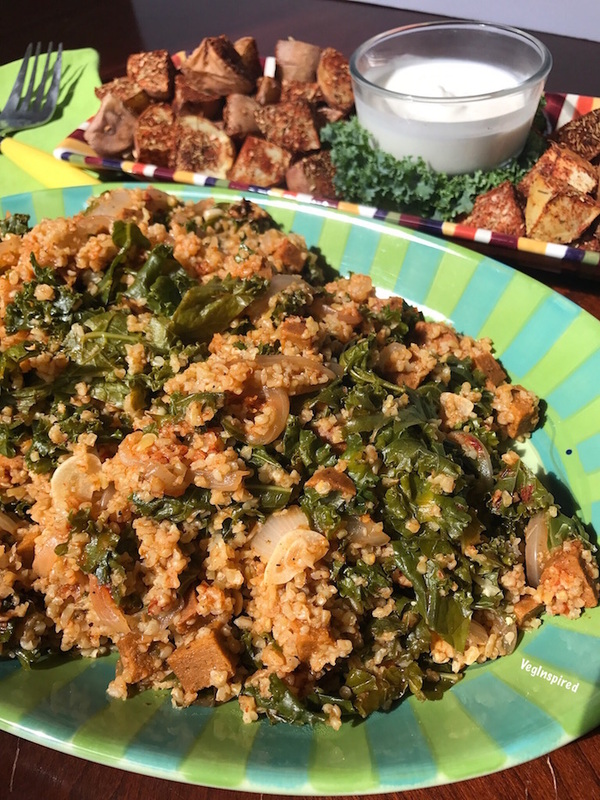 We also have some Thanksgiving Side Dishes and Whole Food Plant Based Recipes as well. We hope you have a wonderful Thanksgiving! 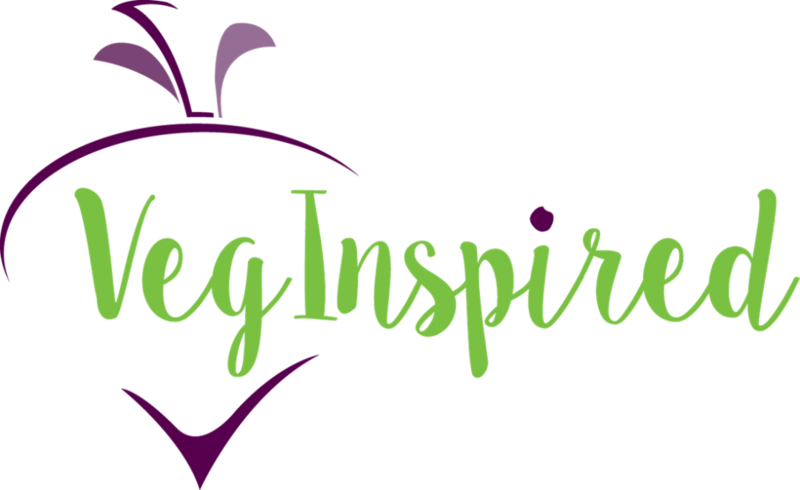 Be sure to snap a pic and share on social @veginspired #veginspiredfoodie We love seeing your creations.